Facilities Managers (IWFM) often have Health and Safety (NEBOSH) heavily incorporated into their duties as this is a key sector in the running of an efficient and profitable facility. We recognise this fact and as such we can combine the IWFM Level 4 Certificate and the NEBOSH General Certificate into 1 affordable package. Another illustration of this close link as that one of the mandatory units for the IWFM level 4 Certificate is Health and Safety within facilities management. Below are summaries of both the Facilities Management and NEBOSH Qualifications. The NEBOSH National General Certificate is held by more people in the UK than any other health and safety qualification. The certificate helps managers, supervisors and other members of staff to manage risks effectively by giving them a broad understanding of health and safety issues. In fact, many people use the qualification as a stepping stone to a career in health and safety. 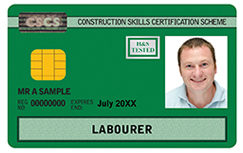 This qualification is accepted by IOSH – the Institution of Occupational Safety and Health – in meeting the academic requirements for Technician membership of IOSH (Tech IOSH). It is also accepted by the International Institute of Risk and Safety Management (IIRSM) for Associate membership (AIIRSM). The Certificate can also be a useful step towards achieving the NEBOSH National Diploma in Occupational Health and Safety. Neither of this qualifications expire and are valid for life. The NGC1 and 2 modules of the course can be completed in the classroom in 10 days, split into two separate 5 day sessions, or a blend of both classroom and private study to suit your individual needs. Following this, the NGC3 project will be completed by the candidate, usually at their own workplace. Depending on study mode, a maximum of 2 years for completion of this IWFM qualification. The course covers the main legal requirements for health and safety in the UK. It also deals with the identification and control of workplace hazards and the practical way in which to approach them. Units NGC1 and NGC2 are each assessed by a two-hour written examination marked by external examiners appointed by NEBOSH. Unit NGC3 is assessed by a two-hour practical examination which is assessed by the course provider and externally moderated by NEBOSH. This practical assessment will be completed within 2 weeks of the examination date for unit 2 and will be carried out at the candidates own workplace. All of our IWFM facilities management courses are structured to offer distance, blended and tutor-led instruction and facilitation. Assessment tasks are both practical and work-based and measured against clear learning outcomes.